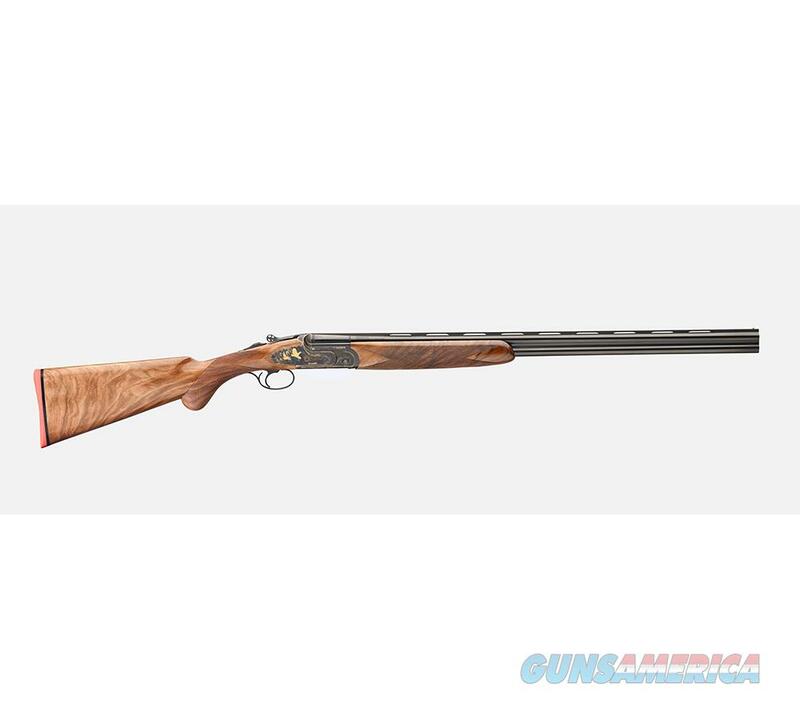 Description: FAUSTI® CLASS SLX •Over & Under shotgun •Features prestigious finishing low & slender box-lock profile •Side-plates •Case colour hardening frame •Elegant laser engraving & gold enlays •Pierced top lever •Patented locking system •Long forcing cones •Selected walnut woods (AA+) •W/round pistol grip •Oil finish •Internally-chromed bore & chambers •Metallic bead sight •L.O.P: 145” •Single selectable trigger: Automatic ejector •Notes: 122028 ga. Scaled frame models include (5) Fausti chokes (C/IC/M/IM/F);410 ga. Models (28 frame) fixed Fausti chokes (M/F-28”; IM/M 26”) •Gun case & velvet socks included Ga.: 28 2-3/4" - Brl. : 28"